I’m not really sure why, but professional email vendors have a gosh darn awfully hard time setting up mobile responsive email templates for their clients. I have a client that recently converted to Pardot for their email publication system. They were already using SalesForce, and had a need for better tracking, the transition was pricey, but a great direction to go. I am wonderfully impressed with the Pardot system and the data set that it is building for every visitor. Pardot is complicated and very functional. I learn more about what it can do everyday. But out of the gate, I expected a functional responsive email template good for both desktop and mobile email clients. If you open up and look at the code for each of these templates, you can see that they borrowed the content from MailChimp under a Creative Commons License, and they specifically call out the requirement by the user to create your own media queries to get these to work in mobile… Problem being mobile Gmail doesn’t accept Media Queries… making it a tough sell. So, How do you get a Mobile Responsive Email template for Pardot? Beautifully, the email that gets sent by Pardot is HTML, and there is little difference between what gets sent by Mail Chimp, Constant Contact, Pardot or others. They’re all the same. You simply need to make sure that HTML has some tricks up its sleeves. I choose Antwort.. Namely because I think it is the best thing going. 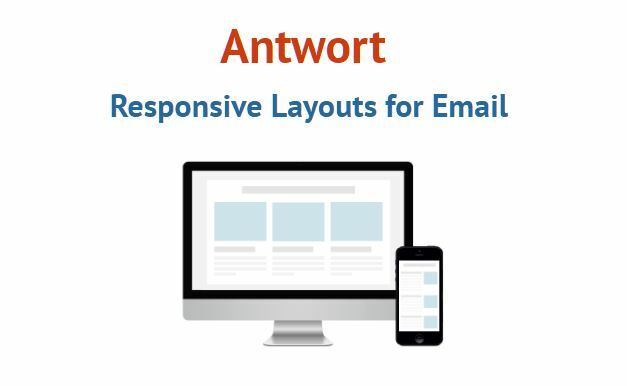 Antwort is beautiful – it attacks the mobile responsive problem for email in a completely unique way. There are no media queries, only beautifully collapsing tables that are compliant with every email client that are listed with Litmus Testing and Rendering Previews. If you need help in setting up an actual mobile responsive template for Pardot, or, if you need some general Pardot integration help (I’m a WordPress guy) reach out! THANK YOU Matt. I’ve been banging my head against the keyboard for weeks trying to get something that worked. 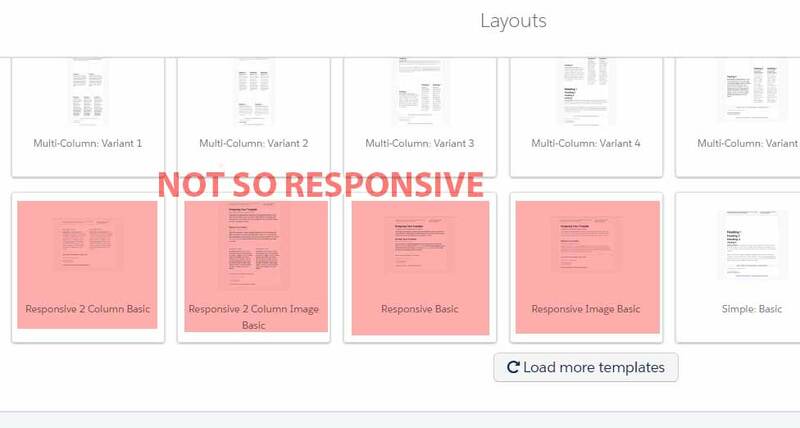 As you noted, Pardot “responsive” templates are not. Got this up and running in a couple hours. Hi Matt, the company I work for is in a similar situation to Ken Hayes, the other commenter on this page. Any chance we could talk? Thank you. Hi Olga, I sent you a private email. Glad to support!